"Have already told others of your good job performance and..."
"I emailed or called a number of companies to check out a..."
We attached a kicker to the side downspout so it runs into the gutter and installed an oversized downspout on the back of the garage. The client now has a lasting solution to manage water on this side of the home! Storm damage had beaten this home in Homer Glen up a bit- the resident reached out to the pros at Stan's to have the issue inspected and fixed. Our team was able to handle this situation quickly and professionally, and now this home is safe once more! This client had a section of the home that needed some replacement siding to function properly once more. We removed the corner pieces of siding and installed new ones to restore the home to its original condition- we even found a color and product to closely match what was used originally! Selling home and need ridge shingles replaced. I need a quote for siding. Possibly windows too. Also have questions about financing. I need an estimate for a tear off and new architectural shingles. Ridge vents and new gutters I'm sure several sheets of plywood are needed as well. This is a rental, I live about 30 mins from property. I need this estimate ASAP. Thank you. We are interested in an estimate for new siding and replacement windows for our home in Homer Glen. We are interested in looking at Hardie board siding. Have a leak in our kitchen ceil, obviously there is a lot of snow on roof but water is getting in and water is starting to drip through. Fred M. Brook Hill Dr. Thanks for a timely and well done job. 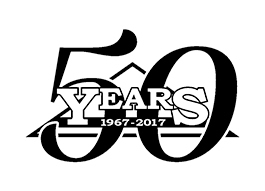 Stan's Roofing & Siding has served the residents of Homer Glen since 1967 with a wide range of roofing and siding services. Our employees are professionally trained and capable of installing or repairing your roof or siding quickly and efficiently. I have roof damage due to storm need to know if it can be repaired, if there is more damage than I can see. Possibly tarp area of damage so that no further damage will take place until repair can me made. We've recently moved into our home and our home inspector mentioned the roof is old. I actually think it's the original roof, so we'd like to get an estimate before we run into any roofing problems. I need 1 8 foot section of fascia that got blown off in a storm. i can't seem to find this style anywhere and was wondering if you could help. I need a quote on having new gutters installed. Looking for estimate on new roof with complete tear off and also to replace siding, soffit, facing etc. We are looking to get an estimate for roof repair (a couple shingles blew off) and a downspout reattached. Hi there. I saw that you performed work on a house down the street and wanted to get a free quote on a new roof, gutters, and aluminum soffiting. Let me know if this is something that you would be interested in.